The Moth Retreat features a large studio/living area and kitchen/breakfast room downstairs, and a separate brush room, and a bedroom and bathroom upstairs. There is a wood-burning stove, and bed linen and towels are provided. You will also have access to Wi-Fi. There is an easel in the living area/studio downstairs, and a writing desk upstairs, and a bicycle is provided (though the publishers of The Moth, Rebecca O�Connor and Will Govan, will be on hand should you need to purchase provisions for your stay or a lift from or to the bus station in Cavan Town). The Moth Retreat is situated along a beautiful country lane in Ireland (3 kilometres from the local village of Milltown and 19 kilometres from Cavan Town) and surrounded by some of the county�s famed 365 lakes. We have two dogs, several hens, one rooster and four ducks, just so you know. Just a few kilometres away is Drumlane Abbey, founded by Saint Colmcille in the sixth century. The county also hosts the source of the River Shannon and has its own Burren, with numerous geological sites recognised by UNESCO. Gulliver�s Travels was reputedly penned while Jonathan Swift was on holidays in Cavan. Gulliver is said to be based on a local giant of a man by the name of John Doughty, who was so strong he could carry a pony on his shoulders. The novelist and poet Dermot Healy grew up in Cavan Town (his wonderful autobiography A Bend for Home is set here). Samuel Beckett went to school in Enniskillen, just a half an hour northwest of here. The homeplaces of such literary giants as Seamus Heaney, Patrick Kavanagh and John McGahern are all within an hour�s drive, or you can strike out west towards Yeats Country. Cavan is a central point between Dublin, Belfast, Donegal, Galway and Sligo. It is located on the N3 and is less than two hours from Dublin. There is a daily bus service from Dublin Airport to Cavan Town. Accommodation is �350 a week and is self-catered. A minimum stay of 1 week is required, and a maximum stay of 2 weeks. The accommodation is specifically for artists and writers. There is a supplementary fee of �100 a week if you wish to bring a partner or friend. 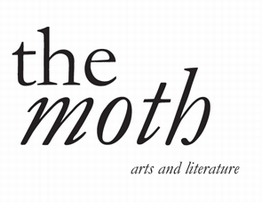 If you are interested in booking accommodation please email editor@themothmagazine.com for an application form.